Acura Spa Systems, Inc. is proud to present this online product catalog to you for your buying consideration. It contains new part numbers and precludes all previous catalogs or verbal terms of sale. 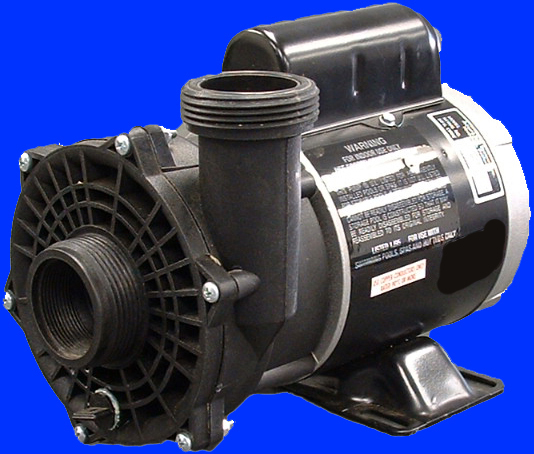 Our extensive product line consists of spa pumps, spa equipment packs, spa digital controls, spa lights, spa electromechanical controls, spa air blowers, spa heated air blowers, spa unions, spa air buttons, spa neck massagers, spa foot massager, spa water jets, and spa vibrating jets. We only build to order. We ship as soon as possible. Usually production needs two working days. All sales are Cashiers Check, Certified Check, Money Order, Visa, Mastercard, Discover, and American Express. Once a credit card is provided for payment to Acura Spa Systems, Inc. the credit card holder has authorized the credit card provider (the bank) to pay Acura Spa Systems in full and waived any stop payments or charged back authorities. Stopping payment on your credit card may be considered a criminal act and we may seek to prosecute. For credit card sales, complete your order online, or you may fax or mail our Credit Card Authorization Form. For expedited shipping (overnight, 2-day, 3-day, etc. ), the additional shipping charges from Fedex will be added to your final invoice with the shipped product(s). The shipping costs are the standard published Fedex rates from Acura Spa Systems zipcode (92509) to your zipcode. No shipments will be made while an account is outstanding. All part sales are final. We only ship new parts. 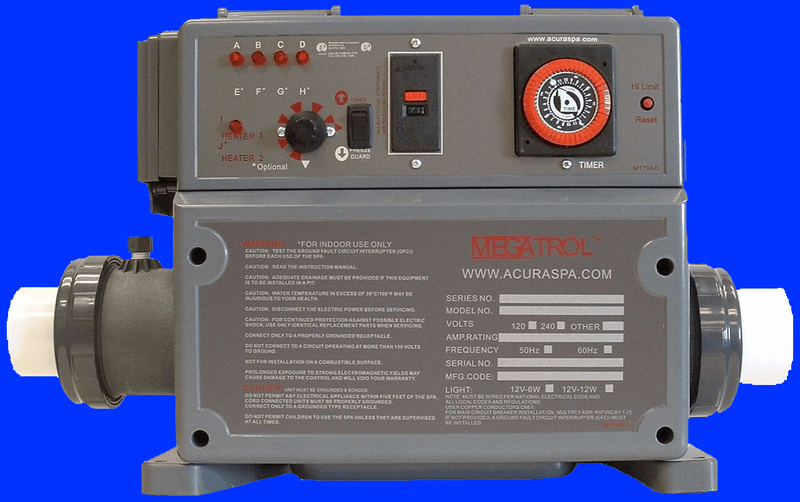 All returns are subject to a 50% restocking charge upon approval by Acura Spas management. No returns will be accepted for credit. Non-Sufficient Funds (NSF) checks are subject to a $25.00 service fee. Uncleared NSF checks make open orders subject to immediate cancellation. All outstanding invoices are subject to a 2% monthly interest charge. 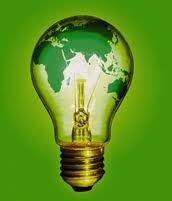 All electrical work must be performed by a licensed electrician and meet UL 1563 and all local codes and regulations. 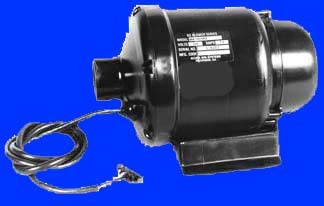 All accessory cords (such as for pumps, lights, blowers, ozonators, stereos, fiber optics, mist pumps, etc.) are not provided unless ordered per Acura part number. 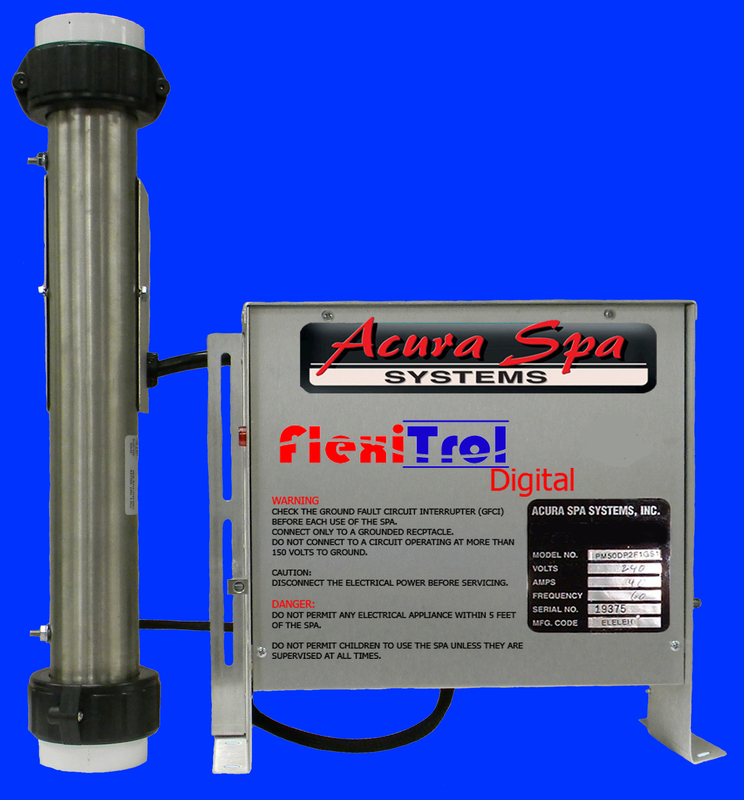 Spa Dealer discounts are only available for stocking dealers of the Acura product they currently stock and sell upon approval by Acura Spa Systems management. 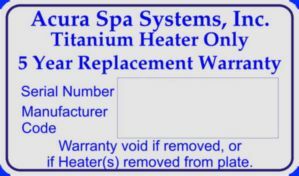 Acura Spa Systems liability is limited to part replacement only. Internal components used on controls may not look like photos provided on this website. Different models require different components. 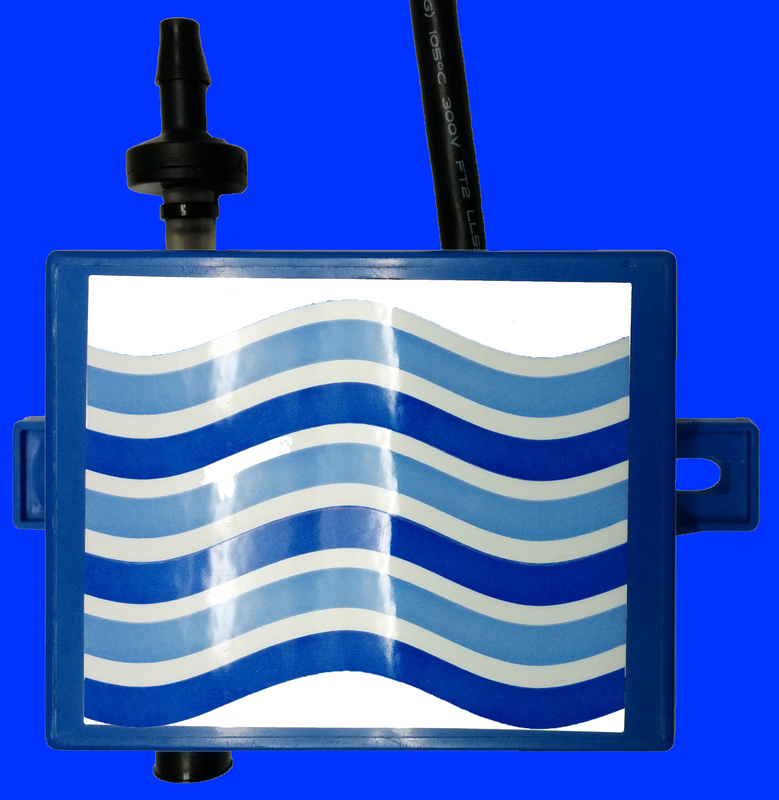 Please use current part number and description when ordering. All telephone orders must be confirmed with a written purchase order. 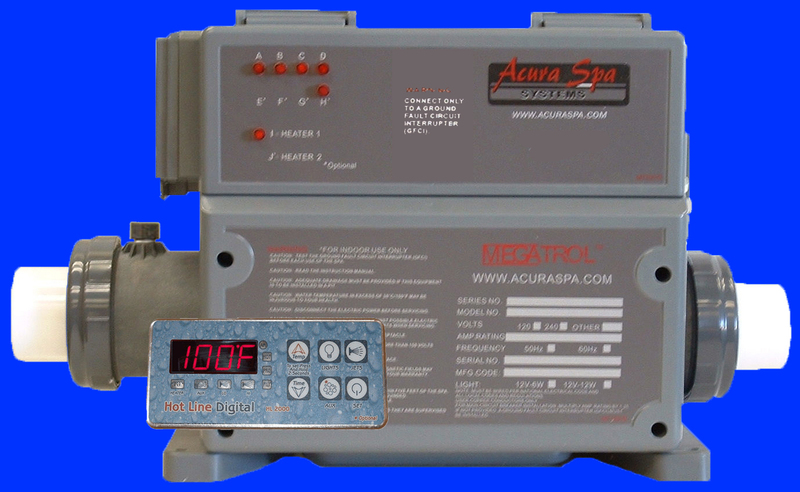 You may FAX your purchase order to (951) 684-6677 or E-mail at orders@acuraspa.com. To place orders for automatic shipment, please E-mail at orders@acuraspa.com. To check on status of orders placed, please E-mail at status@acuraspa.com. 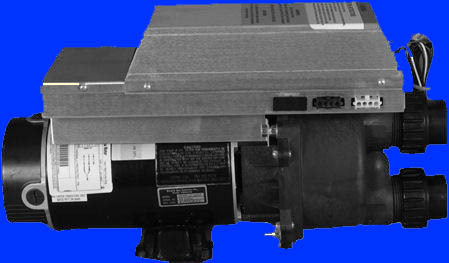 Be sure that all products and parts ordered will fit your application, Acura Spa Systems cannot be held responsible for parts and products ordered that will not work in your application. Any modifications to an open order is subject to an automatic $45.00 processing fee that will be charged on your credit card. Any modifications to an open order requires a confirmation number from an Acura Spa Systems representative. Acura Spa Systems is not a freight company or a delivery service. Purchaser may pick up their merchandise Will Call at our facility or we can contract a freight company to deliver the merchandise at the purchaser's risk(s). Once the freight company picks up products from Acura Spa System's facilities, all liablity for the merchandise are the sole responsibility between the purchaser and the freight company. If purchaser does not choose 'Freight Insurance' Option when placing their order, the purchaser is accepting the shipping companies limited liability for items lost or damaged in shipment. If purchaser does not choose 'Delivery Signature' Option when placing their order, they are authorizing the shipping company to leave the items at the address specified solely at the purchasers risk. Unless specified, all shipments will be delivered by the shipping carrier, no signature required. Additional charges are added on your invoice if delivery signature is required. We can only provide the shipping and handling (s&h) amount after your order has been processed and shipped. Be sure to include your email address, phone number, or fax number so that we can contact you after your order ships. Free Freight (when applicable) only for online orders Standard Ground shipping one-way in the USA (contiguous 48 states). Other forms of shipping incur additional shipping costs. All claims for lost or damaged freight must be made by the purchaser directly to the freight carrier within the freight carriers established time limit. Acura Spa Systems, Inc. is headquartered in Riverside, California. Any legal claims filed against Acura Spa Systems, Inc. or its officers must be filed in the district of Riverside California. We only build product to order. All returns are handled per our published limited warranty. 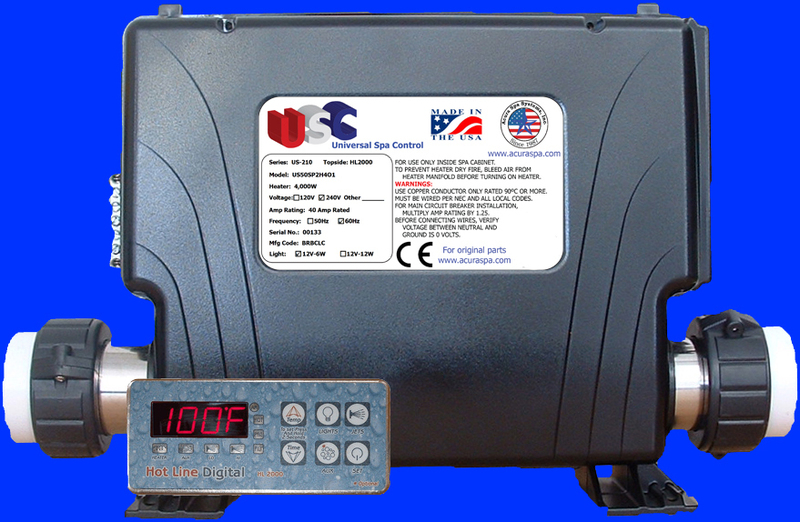 All returned products require the electrician and/or plumbing contractor's proof of license that installed the products (proof includes their name, phone number, license number and licensing state), as well as a Returned Goods Authorization (RGA) Form before returning any product to Acura Spa Systems, Inc. The valid invoice issued by Acura Spa Systems for the return merchandise can be used for the RGA. All returned products must be shipped freight prepaid; no product will be accepted otherwise. If a customer refuses delivery, the customer is solely responsible for all shipping, handling and processing fees and charges. No product may be returned after 30 days from date of invoice. 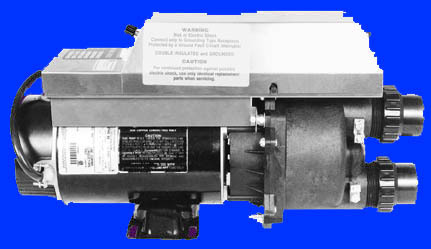 Custom built products, such as spa controls, spa packs, pumps, heaters, and blowers, are non-refundable. Acura Spa Systems, Inc. solely will determine the saleability of all returned goods.